If you are on a boat and see a sleek head lift up out of the water, a quick way to tell is to look at the ears: sea lions have ear flaps that are external, while seals only have small auditory holes on the side of their heads. If you see any ears at all, it’s a sea lion! If they happen to be on land, you may be able to take a peek at their front flippers. Both seals and sea lions are “pinnipeds” (latin for fin footed…) but seals have little stubby front flippers, while sea lions have elongated front flippers. 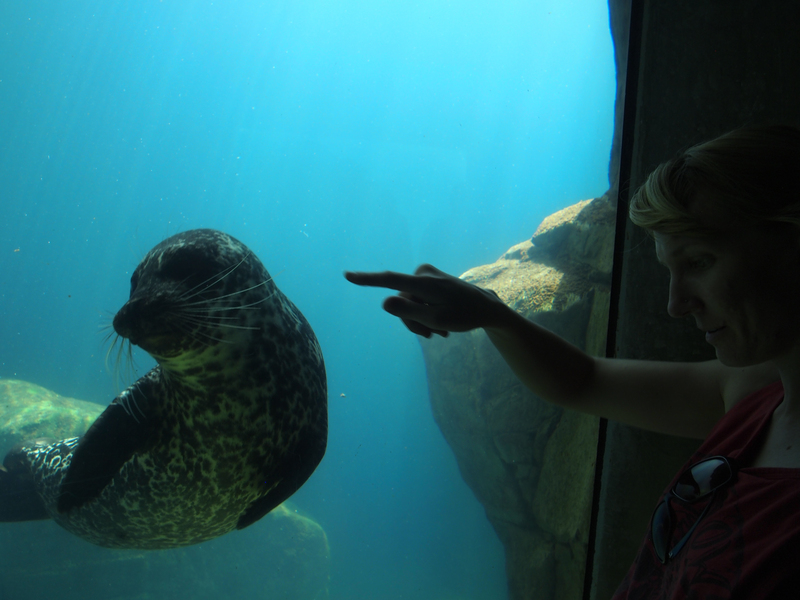 Also, take a peak at the way it’s moving on land: seals can’t really move on land well. They do sort of a worm wiggle. Sea lions can actually prop themselves up on their fins and lift their chests, and they can also rotate their hind flipper forward and do an interesting kind of walk. Hear barking? That’s another clue just by itself. 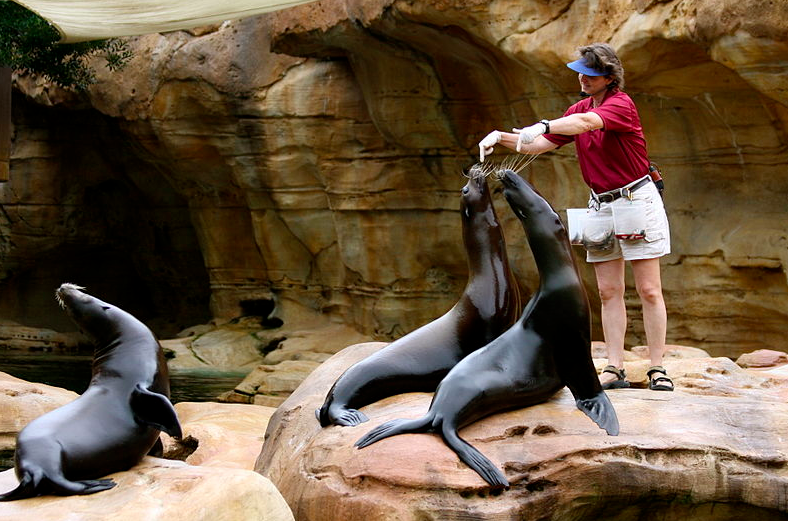 Sea lions are vocal and loud, communicating with each other by barking. 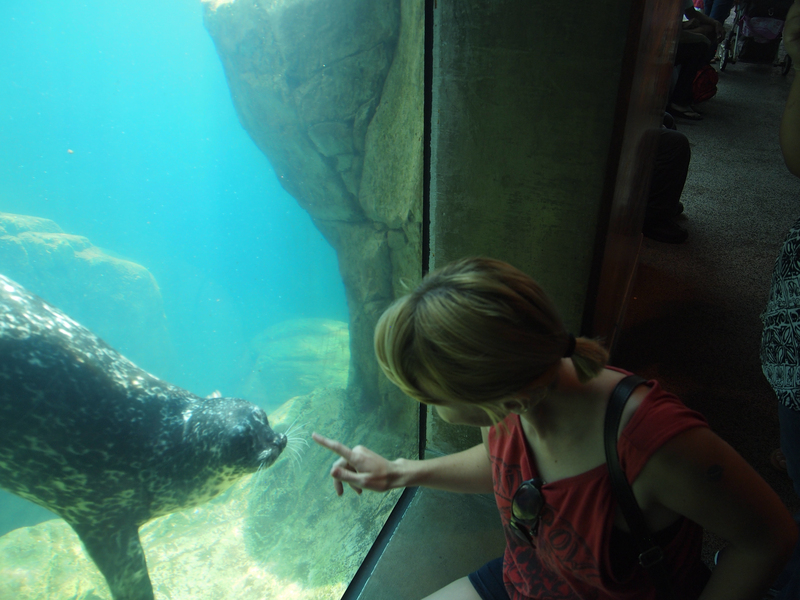 Seals are much quieter. 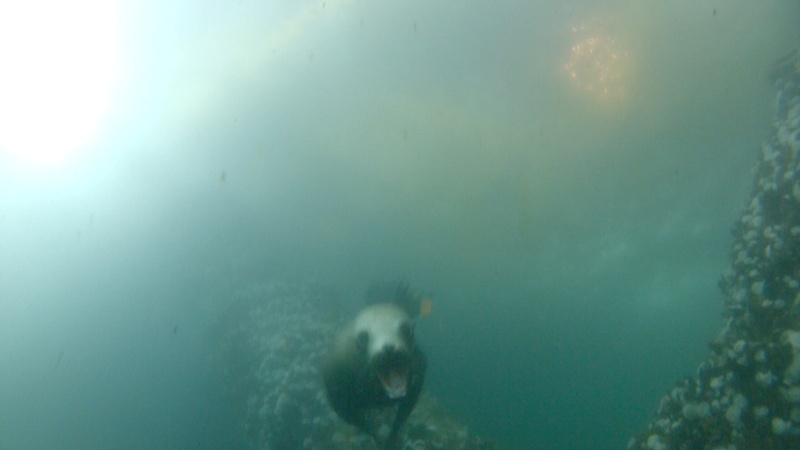 See a quickly moving adorable pinniped swimming under water? 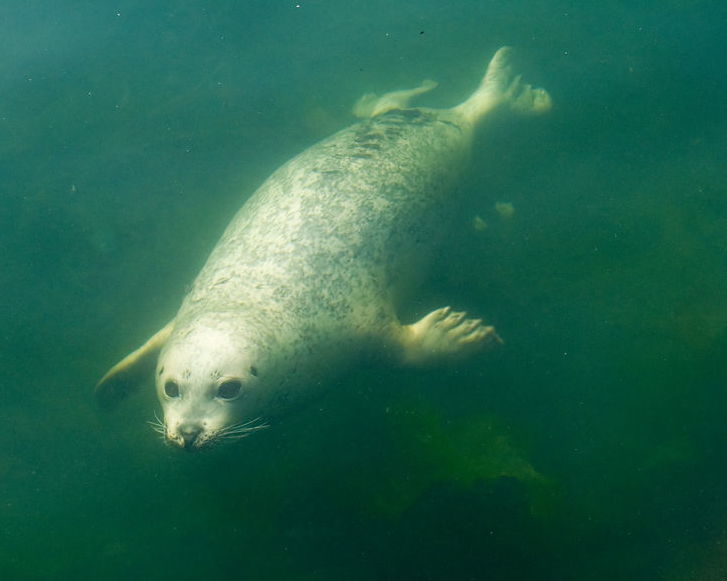 Seals swim with their hind flippers, while sea lions swim with their front fins! 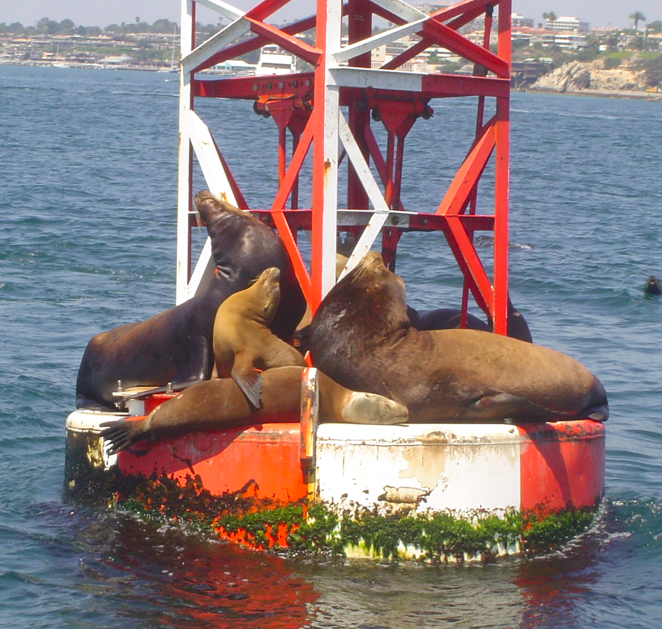 See a pile of pinnipeds on a buoy? Again, a clue itself is the behavior: sea lions like to hang out together in groups, whereas seals are solitary. Can you tell the difference now? Its so simple!